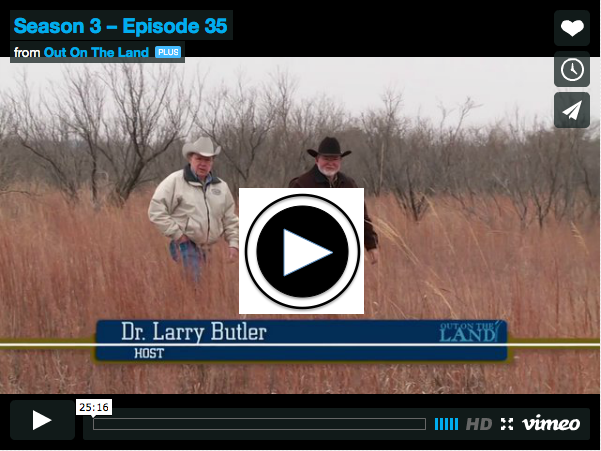 This episode of Out on the Land provides an effective introduction to Ecological Site Descriptions and their utility for land owners. Thanks Larry! What is an ecological site? An ecological site is distinctive kind of land with specific soil and physical characteristics that differs from other kinds of land in its ability to produce distinctive kinds and amounts of vegetation, and in its ability to respond similarly to management actions and natural disturbances. Unlike vegetation classification, ecological site classification uses climate, soil, geomorphology, hydrology, and vegetation information to describe the ecological potential of land areas. A particular ecological site may feature several plant communities (described by vegetation classification) that occur over time and/or in response to management actions. What is an ecological site description? Ecological site descriptions (ESDs) are reports that describe the a) biophysical properties of ecological sites, b) vegetation and surface soil properties of reference conditions that represent either i) pre-European vegetation and historical range of variation (in the United States) or ii) proper functioning condition or potential natural vegetation, c) state-and-transition model graphics and text, and d) a description of ecosystem services provided by the ecological site and other interpretations. How are ecological sites mapped for use? In the United States, ecological sites are connected to spatial data via soil map units of the National Cooperative Soil Survey. Classification of land areas to ecological sites can be easily visualized via Web Soil Survey of the USDA Natural Resources Conservation Service or within a personal GIS via SSURGO digital soil data. Ecological sites are linked to one or more map unit components of one or more soil map units. A soil map unit may have several map unit components that cannot be mapped separately (because they are finely intermingled, for example), so soil map unit polygons may not correspond in a 1:1 fashion with ecological sites. For SSURGO spatial data, map unit components can be connected to ecological site descriptions in a database by linking the map unit component to the ecological site class name in cecoclas.txt table and then to the map unit in the mapunit.txt via the comp.txt table (Fig. 1). How are ecological sites used? ESDs and associated information are used primarily to stratify the landscape for monitoring and assessment, interpretation of resource hazards and opportunities, and to prioritize and select management actions. ESDs are developed and housed by the NRCS and its partners, and used by the U. S. Bureau of Land Management (BLM), the The Nature Conservancy, and many other entities. A recent memorandum of understanding between the NRCS, BLM, and U.S. Forest Service establishes ESD development as an interagency priority and will establish national standards and protocols for ESD development. What is a state-and-transition model? The patterns, causes, and indicators of transitions between communities within an ecological site are described by state-and-transition models. State-and-transition models synthesize literature and informal knowledge tied to particular ecological sites to distinguish changes in vegetation and soils that are easily reversible versus changes that are subject to thresholds beyond which reversal is costly or impossible. The models describe all possible states, community phases (i.e., easily-reversible variants of states), and transitions between communities and states. Transitions contain information about mechanisms, triggers, thresholds, and indicators of threshold development.